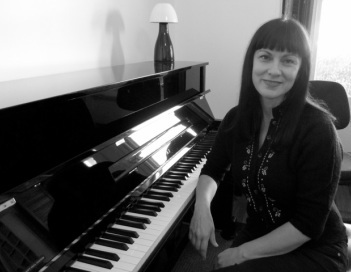 Coo Jarvis has been running a successful piano teaching studio in North Perth since 2004. She also teaches piano workshops for contemporary performance diploma students at Central Institute of Technology. Prior to moving to Perth, Coo resided in London where she studied piano and pedagogy with internationally acclaimed Russian virtuoso pianist and educator Evgenia Chudinovich (also known as GéNIA). Coo also obtained an Associate Diploma in Solo Piano Performance (ATCL) and a Certificate of Music Education (CertMusEdTCL) from Trinity College London and taught both privately and in schools. In addition, Coo is a singer and song writer who has been performing and recording in Australia and overseas over the last 20 years. She is also committed to furthering her own musical education, continuing to study and perform music as well as regularly attending seminars and workshops. Coo's unique musical background allows her to constantly draw on her varied musical experiences. Whether it's starting beginners of all ages on their musical journey; preparing students for exams or auditions; helping keyboard players who play in bands; or those who play purely for pleasure, Coo is passionate about giving her students the necessary skills and confidence to achieve their musical goals and play the music they love.